Hello there, May is almost over and the weather has certainly been better. Trees are budding and beginning to become full of leaves, flowers are beginning to bloom and the birds are definitely singing. There are still a few more days to enter this month's challenge at OCS. 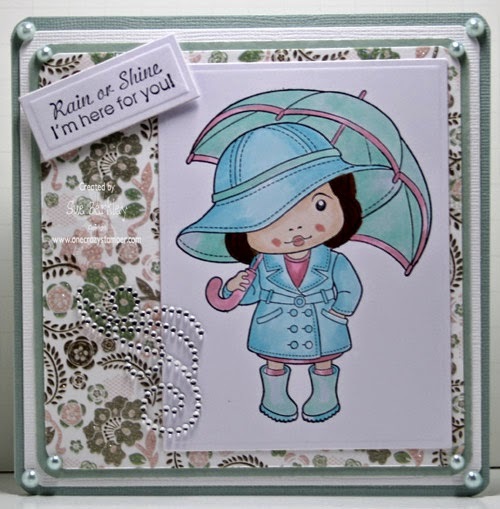 For my last post of the month, I have used this adorable stamp called Marci with Umbrella from La-La Land Crafts. There are still a couple of days left to enter this month's challenge for a chance to win a prize pack from One Crazy Stamper. Then on Sunday, we will have a brand new challenge. Until next time keeping crafting and have fun. Hello friends, the weather has been changing for the better here in the North and it is getting nicer, birds singing, frogs croaking, sunshine, warmth. Very nice. 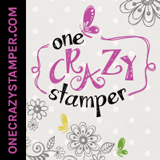 Today our challenge continues here at One Crazy Stamper for Anything Goes with and embellishment! So play along with the fantabulous design team. Share some love, and if you get a chance to pop over to Lora's store, she has array of crafting supplies there. Now on my card today, I am using the image from Impression Obsession-Single Rose. I love how you can use this single rose in so many ways. I added a few flowers and embossed the back card stock, colored it with my copic markers. Thanks for stopping and please play along with us, till next time happy crafting. Good morning friends, on this sensational Saturday I'm using Little Luka Lion again but coloured with Copic markers and on a bookmark. I added some brads, a button, two kinds of ribbon, some eyelets and a tiny piece of a feather. I think the Memory Box gears and Spellbinder cogs look great together and are a perfect match. Finally I finished with a tassel I made out of Sew Easy floss. Enjoy your day and go and get crafty! 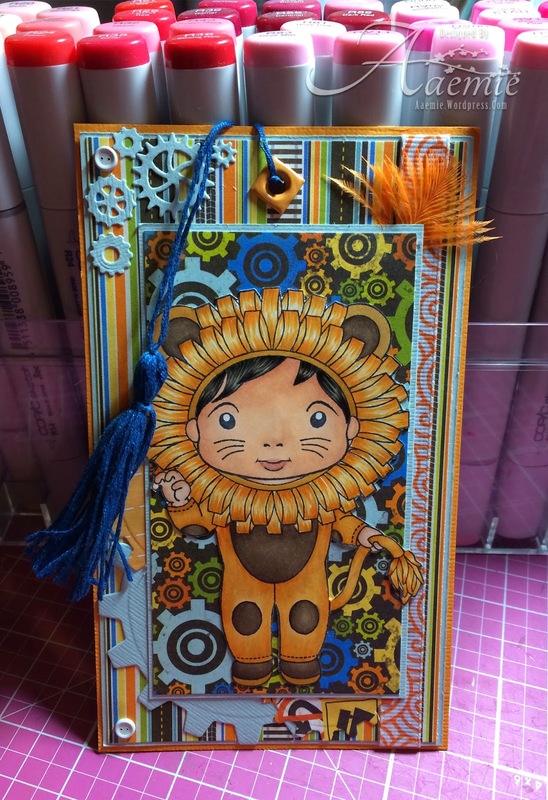 Our Anything Goes with an embellishment challenge is still going on, come join the fun and chance to win. Thursday already where did my week go!! I cannot seem to catch up..Well enough of that my card today is these two little guys eating or getting into coffee beans...I stamped this image using MEMENTO TUXEDO BLACK INK onto white card stock...Coloured it with COPICS and yes shaded with PRISMA PENCILS!!! Image name CAFFEINE HIGH..by STAMPENDOUS!!! Now tell me these are not cute there is a whole line..LORA you have me loving them!!! Hope everyone enjoyed the long weekend, it was certainly nice to have an extra day off work. It was a good weekend to accomplish some gardening, cleaning and play. 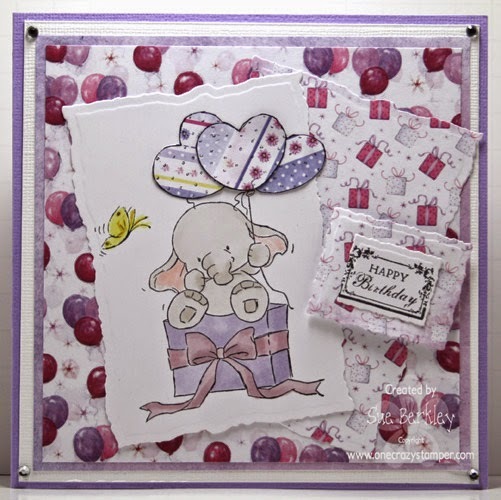 For today's post for OCS, I have used this adorable stamp from Wild Rose Studio called Bella's Birthday. I paper pieced the balloon and added a couple of more. 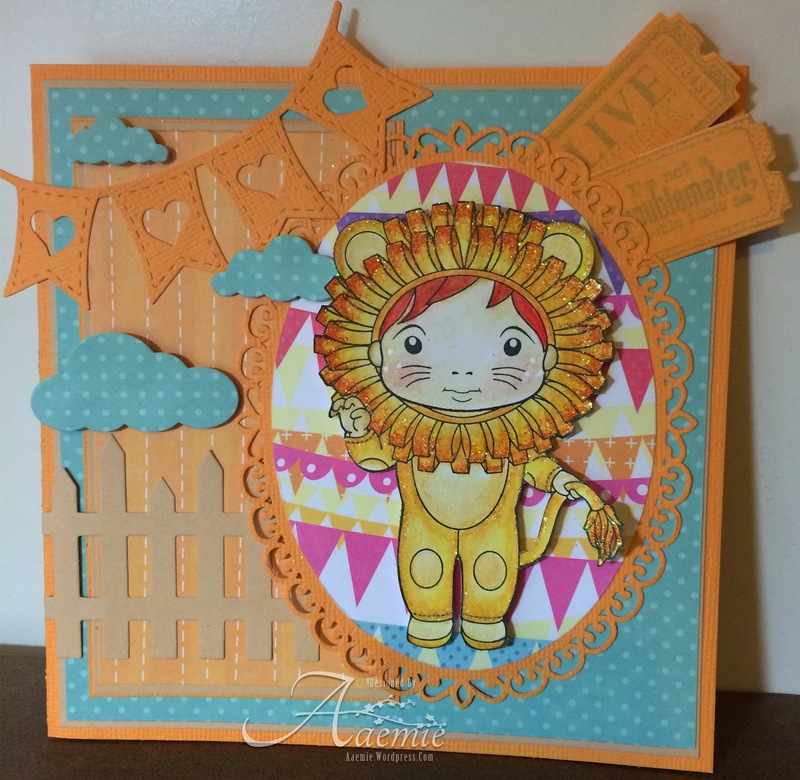 There is still time to play this month's "Anything Goes Challenge plus an Embellishement" for a chance to win a prize pack from OCS. Please do not use a digital image. You can get all the supplies you need from Lora's OCS store. Until next time, have fun crafting. Hello friends, welcome back, and so happy you stopped by. 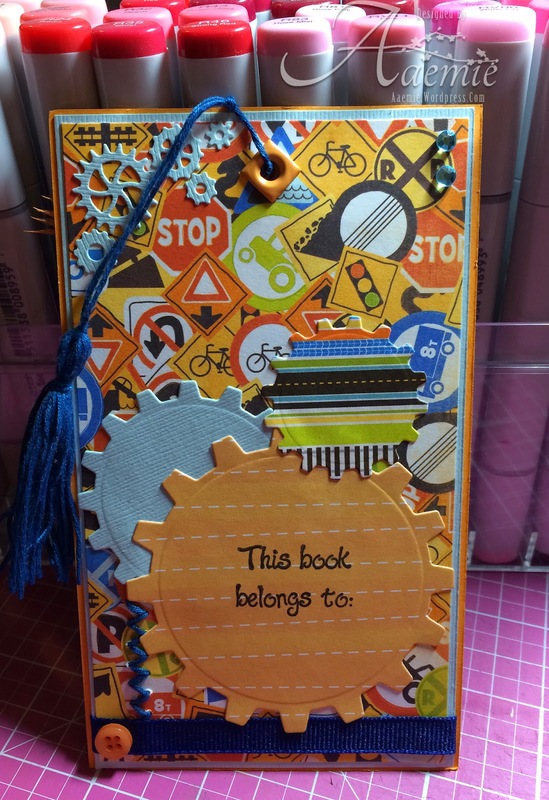 My card for our challenge at One Crazy Stamper is for the "Anything Goes" with an embellishment. 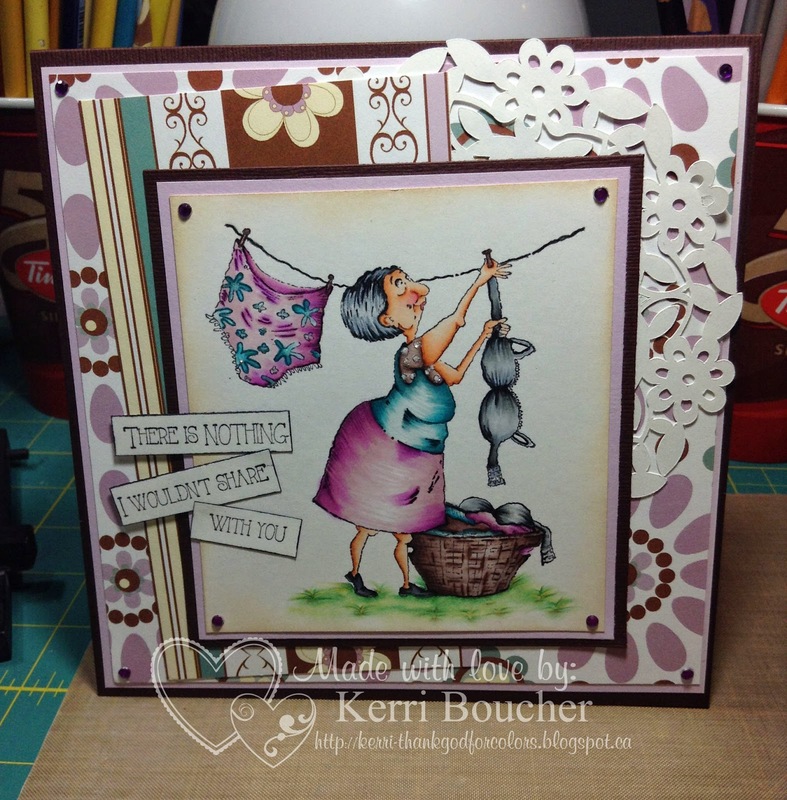 I am using the stamp from Marianne Designs-Snoesjes Swing, she is so cute to color up using my copic markers. I also used a spellbinder added some ribbon and flowers. I used the Core Essentials card-stock. I used my sanding block after I embossed the card-stock. 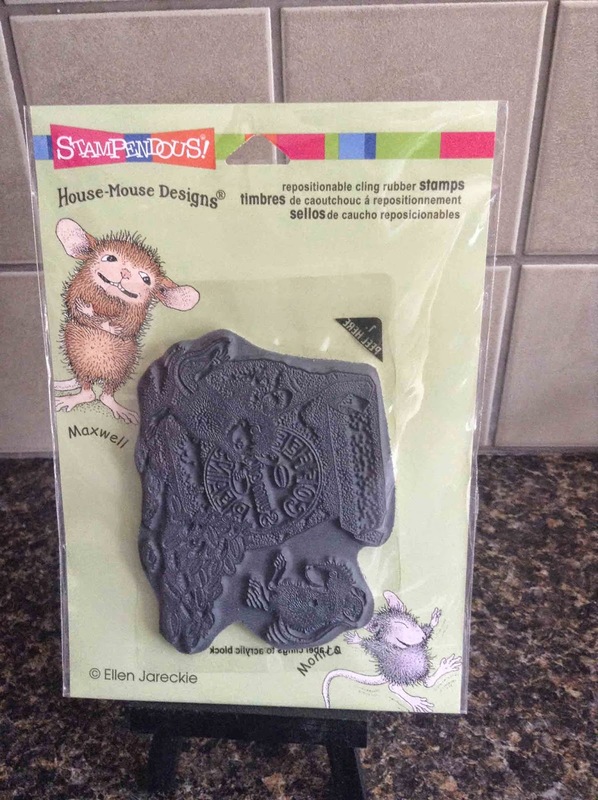 Please pop on over to One Crazy Stamper and play along with our Anything Goes with an embellishment challenge. Lots of wonderful prizes, and the design team is awesome. Stop by Lora's store she has a wonderful array of crafting supplies. Till next happy crafting. Hey hey crafty peeps, check out this as cute as can be little guy. Little Lion Luka was coloured with Derwent Inktense pencils, but I made a bit of a boo boo. I stamped him on copic paper, but didn't realize until 1/4 way through colouring and so I just continued. The inktense pencils didn't blend as beautifully as they would on watercolour paper, but I made it work. I used two colours of glitter on the mane, some new dies and an old favourite, my ticket dies. 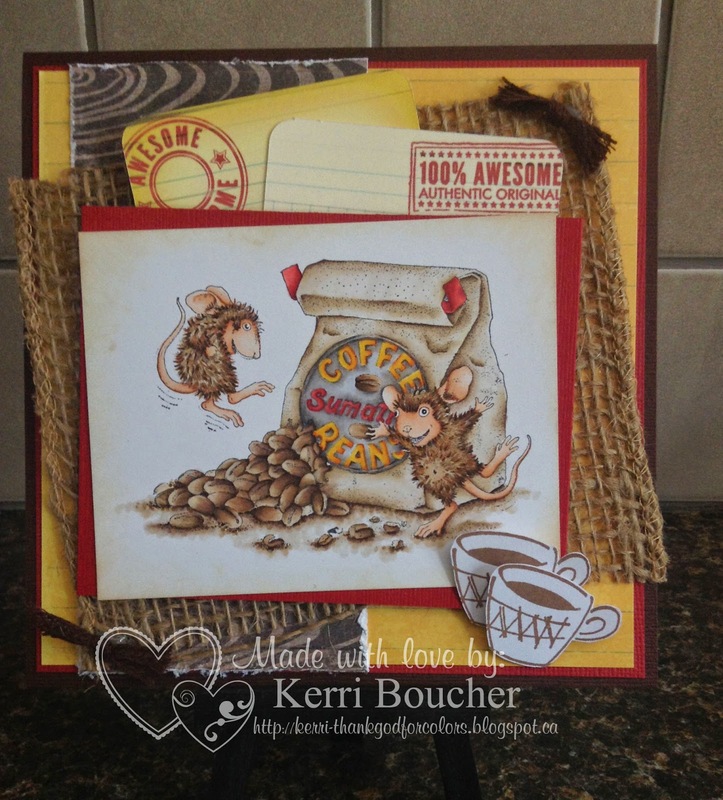 Enjoy your day and come join our "Anything Goes and an Embellishment" challenge. Hello and Happy Friday!!! Are you excited for the long weekend?? I know I am, planning on Crafting A-LOT!!! * Image: Your Next Stamp, I Ruff You! I hope that you enjoyed today's post and I would like to wish everyone a safe and Happy Victoria Day Long Weekend! !